The 2013 Huron Fringe Birding Festival Program is now posted on the Friends of MacGregor Point Park website. On-Line Registration for the festival opens February 1, 2013. Brochures are available at MacGregor Point Provincial Park. On the 25th of May, at 4:30 PM, the Huron Fringe Birding Festival Banquet begins at St. Joseph’s Parish Hall in Port Elgin. The highlight of the evening will be a presentation by Peter Middleton as he shares stories of his time as an ecotourism guide. Here, in his own words, is a brief snapshot of his sure to be humorous and intriguing presentation. WHY DO GULLS LIKE TO SIT ON WHITE ROCKS? 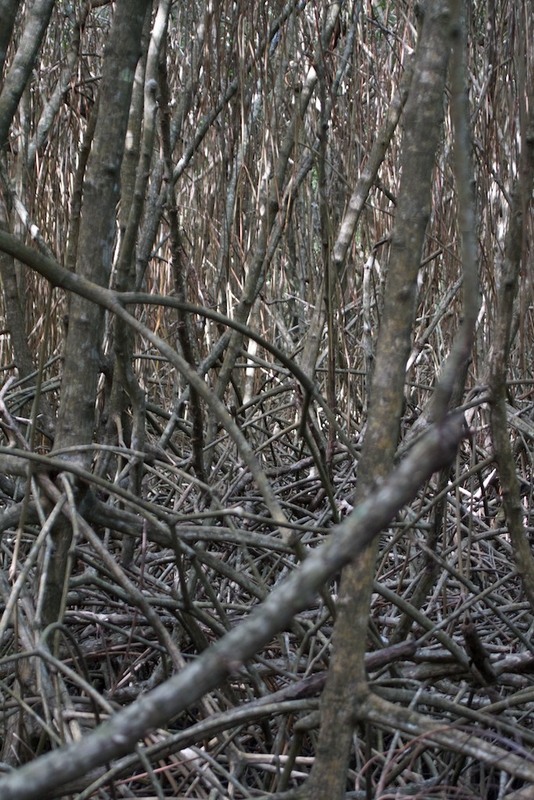 When one ventures into the field, it is always with a sense of anticipation and discovery. No two days are alike and the wonders of a living planet unfold in remarkable and unpredictable fashion. Daily experiences build over the years into a remarkable range of information and knowledge. The ability to share with others is one of the greatest joys for a naturalist – and one of the greatest sources of surprise. As a wilderness and naturalist guide for most of my life, I have had the pleasure and challenge of dealing with situations, both profound and preposterous, provided by those with whom I travel and those who one must deal with (police, customs agents etc.) to ensure a trip goes as planned, or not. “You cannot leave because you have not arrived!”. Situations encountered become the source of great and often amusing stories: from participants going walkabout in Polar Bear country, to spending a night under the stars on an Antarctic ice sheet surrounded by a posse of Wedell seal that emerged from the icy waters and hauled out to join our group, obviously mistaking us for their own kind. From dealing with gun toting security forces, to amassing a credit card debit that my wife found to be excessive. There are many memories. Becoming friends with the largest land carnivore in the world is not a highly recommended activity at any time, but was the apparent desire of one of my trip participants, who rambled off into the arctic expanse one day without telling anyone. This wish caused her leader some considerable concern when a young male Polar Bear decided to visit. Fortunately the experience did not end up as a shared meal experience! She survived and to this day, I am sure, does not understand the concerns expressed about her behavior. She had paid good money to come and see Polar Bears! And then there was the Arctic Wolf! These and other tales will be the basis of my presentation and will take us from the two Polar Regions to Africa, Amazonia, India and other locations around the globe. The talk will be illustrated with images taken on my trips. I may even answer the question of why gulls sit on white rocks, but only for those who attend. Peter Middleton is a retired outdoor education teacher and principal. He has guided groups, to many areas of the globe, to observe birds, animals and plants, and interpret natural environments. Throughout his life, Peter has had an overarching interest in birds. His passion for birds began as a young boy in northeast Scotland, and continued to develop in Canada when his family immigrated in 1952. 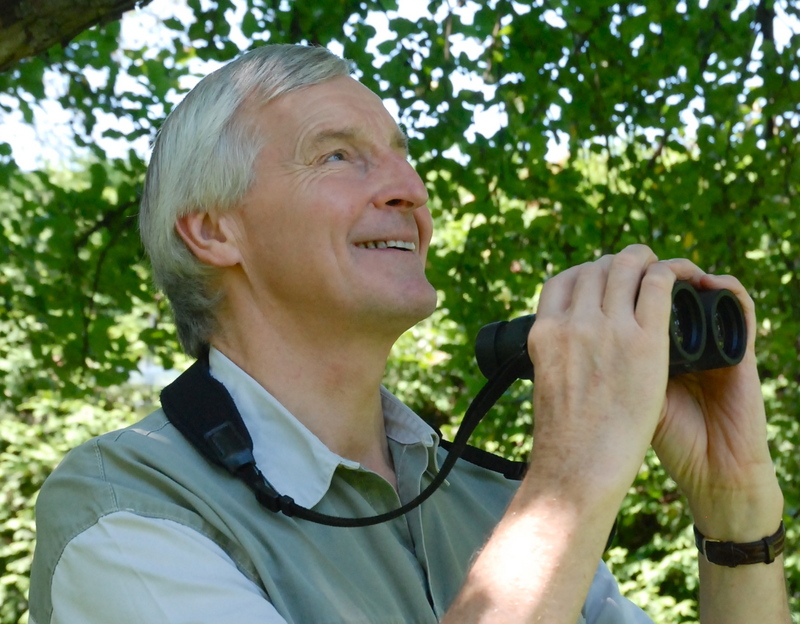 He is a respected field ornithologist who, over the years, has contributed to many projects including the Ontario Breeding Bird Atlas, North America Breeding Bird Surveys, Grey-Bruce Records Committee and Endangered Species Recovery Programs. He served as president of the Owen Sound Field Naturalists. Friends of MacGregor Point Park website. Registration for the festival will open on February 1, 2013. Please share this information with anyone who might be interested but is not part of the club distribution list. Anne Cathrae is going over the list of display venues for the new 2013 Huron Fringe Birding Festival Brochure. They’ll be on display soon. Look for them. By the way, given the look on Anne’s face your are correct in assuming that she didn’t know her picture was being taken. Jim Duncan, Norah Toth (check out Norah’s Festival Story posted January 12) and Judy Duncan sorting out brochures, rack cards and bookmarks all with our distinctive HFBF design. There are more than 80 individual events featuring Birding, Botany, Photography, Geology, Nature Hikes, and the list goes on. Event rosters are limited and will fill up quickly so register early for best choice. Call, write or contact us on-line and make sure you’re part of it all. The Huron Fringe Birding Festival runs from May 24 to June 2, 2013. The program is posted under Huron Fringe Birding Festival – Schedule of Events. tells us her Festival story. “The Huron Fringe Birding Festival has become so much a part of my life it is hard to remember how it all began. It started, for me, in the early-1990s as a result of one of the reorganizations of the Ministry of Natural Resources. My job was moved to MacGregor Point Provincial Park and I went there with a passion for volunteers and a love of the resource. As a result, one of my first tasks involved connecting the park to the camping and naturalist community by establishing the Friends of MacGregor Point. “Almost immediately, our Friends group was a going concern. The President, Doug Martin, had “grown up” in MacGregor and knew it better than some of the park staff and definitely better than I did! The Friends Board proposed the construction of an observation tower and raised the $30,000 required in less than a year. It was built on the Ducks Unlimited wetland at the south end of the park. A number of birders certainly were enjoying it and members of the local birding community were regular visitors. In fact this part of the park was favoured by those doing their Baillie Birdathon because if they came around May 23 the number of warblers found would help move their total numbers “way up”. 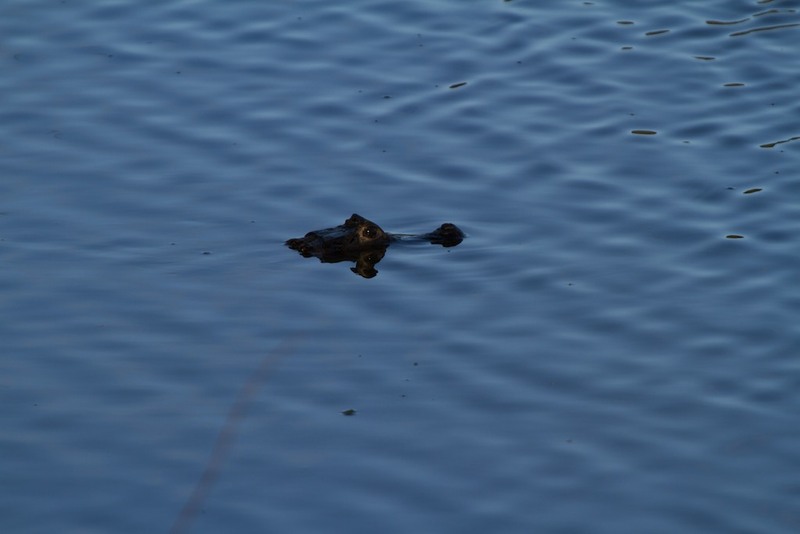 “As staff, we began to see a change in our spring customers much to the Park’s benefit. Victoria Day weekend and the weekends immediately after had typically experienced lower use. Provincial Parks generally were still known as “party” locations in the spring. Staff felt that if we placed an emphasis on birding and nature activities, it might result in visitors coming to the park for a different purpose. I realized that this was happening when the other park staff started to remark that the “bird” people were back. 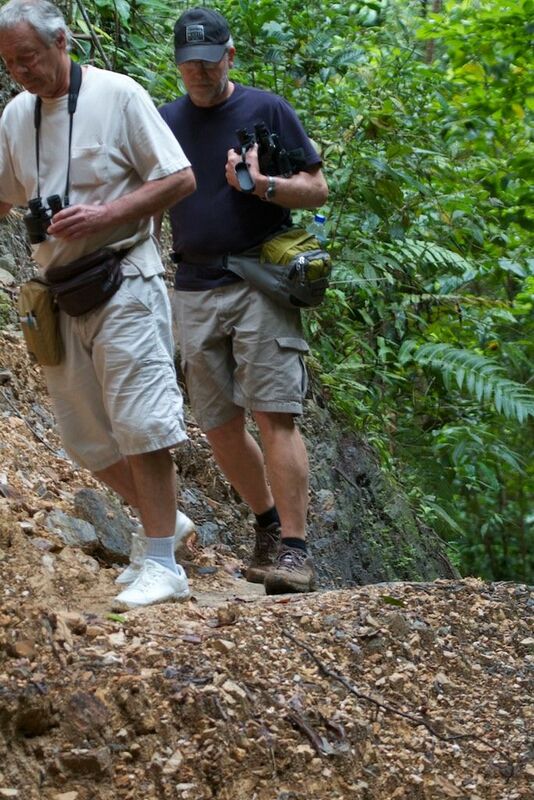 They were easily recognized by their binoculars and field guides. 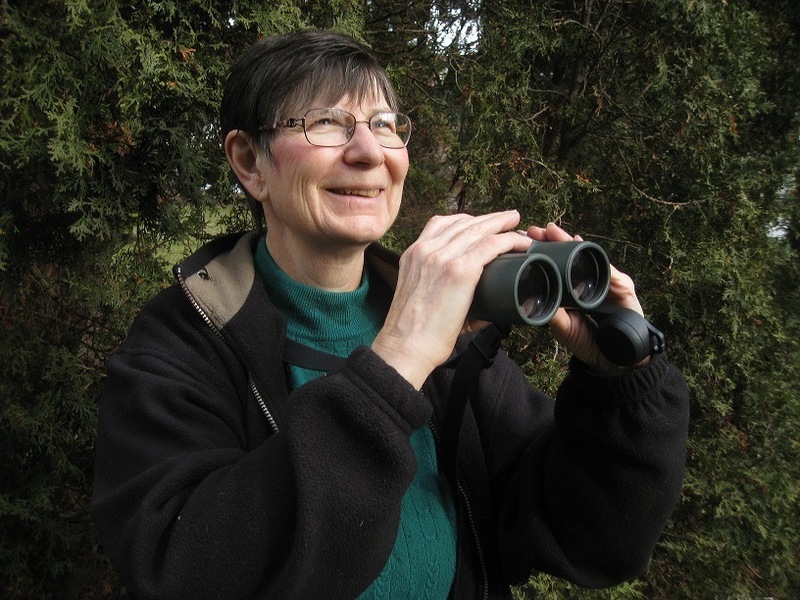 “Well-known local birders – Dave Fidler, Mark Wiercinski, Kathy and Martin Parker – each had an imprint on the Festival and by 1998 it became a reality. The Friends applied for and received a grant, which I administered for them. Kathy Parker and Lynda Steinacher were hired and we began to move the Festival from a small one-day event to two four day weekends over ten-days. The Huron Fringe Birding Festival, which required more time, volunteers and commitment than the park could manage it on its own, successfully transitioned to a Friends program. “The year Kathy coordinated the Festival, was the only time the Festival had staff. When her contract was over, it became a volunteer-driven event. And yet we thrived simply because many of our leaders were local naturalists connected to the Owen Sound, Huron Fringe and Saugeen Field Naturalist Clubs. Members of the newly formed (at the time) Bruce County Bird Finders Club were gladly willing to share their knowledge about birding opportunities in the local area. Today this desire has been adopted by the current Bruce Birding Club whose members lead and volunteer for the Festival. And today the Park continues its commitment to the Festival by providing administrative and on-site support. “Through the years, the Festival has had hardworking volunteer Chairs – Judith King, Barbara Martin, Mike Pickup, John Cummings, Jim Duncan and Norah Toth. Mary Rapati and Bette Jean Martin have provided registration support developing a registration a program that allows participants to register on-line. We now have a committee of 10, under the leadership of Jim Duncan and I, who oversee Festival operation. We work steadily, from September to May each year, to put together the program and ensure that we have a Festival which each of our visitors will find enjoyable and fun. “It is always exciting to connect each year with Joan Crowe, Doug Martin and Mark Wiercinski. They have been with us since our first year and have become the Festival’s cheerleaders and great friends! But there are many others who also come each spring to present at the Festival – Michael Carlson, Judith King, James Turland, Fred Jazvac and John Cummings are some of our veteran leaders. And I remember with fondness our leaders who are no longer with us – Ross Snider and Mac Campbell who both contributed greatly to the Festival. Call, write or contact us on-line and make sure you’re part of it all. The Huron Fringe Birding Festival runs from May 24 to June 2, 2013. February 1, 2013 marks the opening of registration for this year’s Huron Fringe Birding Festival (HFBF). That’s when the complete program and on-line registration will be available to you at www.friendsofmagregor.org. If you want your own personal copy of our brochure just send us your request at: Huron Fringe Birding Festival Registrar – c/o Friends of MacGregor Point Park – 1593 Bruce Road 33, R.R. 1 – Port Elgin, ON – N0H 2CS. Or you can call us at: 519-389-6231 or 519-389-9056. We would love to chat with you about the Festival. In fact we would love to know how many years you’ve been attending. Let us know and we’ll highlight your accomplishment. Better still – bring in a new participant and we’ll have a gift waiting for you. HFBF is highly regarded as “One of North America’s Premier Birding Festivals.” and one of the top festival values. Our prices are unchanged for 2013! KW from Michigan says we give you “Great Quality and Price!” GT from British Columbia say we are, “Well organized. The hikes and workshops are worth it!” And SM from Ottawa thinks we are, “Friendly and welcoming!” Birders, photographers and nature lovers from all over Canada and the U.S. look forward to the festival each year. That, plus the fact that we keep our program sizes small for your maximum benefit, is precisely why early registration is important if there’s a program that you absolutely must be part of. And here’s what you could expect to experience in the varied habitats of MacGregor Point Provincial Park and the Bruce Peninsula while at the HFBF • on the Grasslands – Bobolinks, Upland Sandpiper, Grasshopper Sparrow • Piping Plovers on the Huron Shoreline • Blue-Winged Warblers in Shrubby Habitats • Sora Rail, Green Heron and American Bittern in the Wetlands • American Redstart, Mourning Warbler, Scarlet Tanager in the Woodlands • and on the Alvars, Yellow Lady’s Slipper, Maidenhair Spleenwort, Eastern Massasauga Rattlesnakes. On our first weekend we’ve secured a larger venue for our banquet. 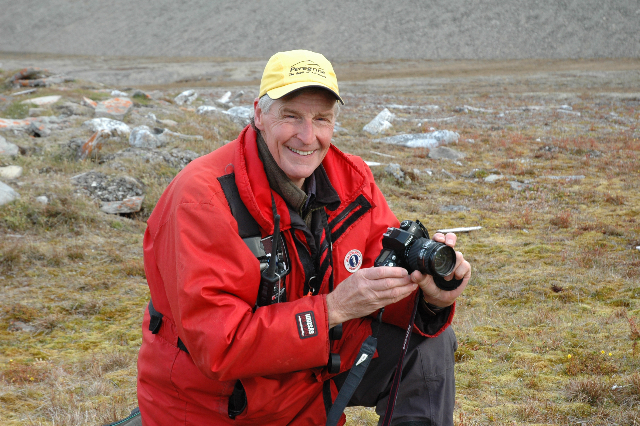 Peter Middleton is our keynote speaker at that event and his topic “Why Do Gulls Perch On White Rocks? And Other Insights From A Career In Ecotourism” is not to be missed. Not all of our programs are out-of-doors. 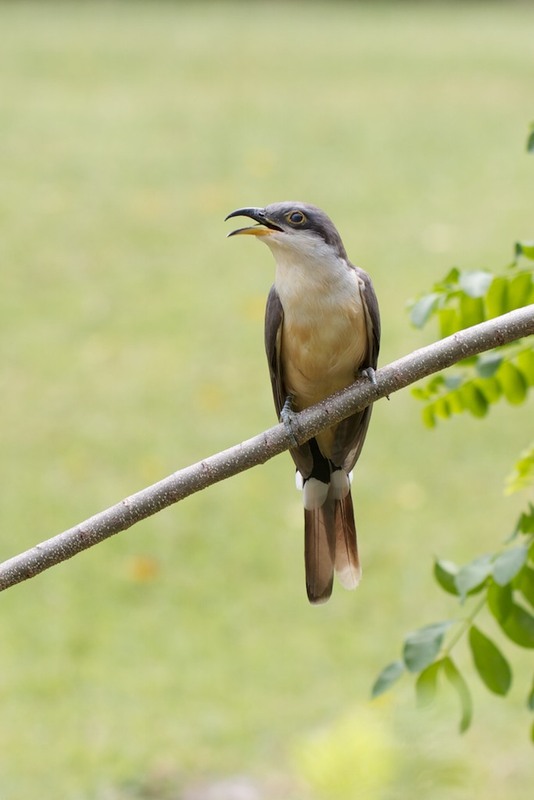 There are afternoon and evening sessions with interesting topics and presenters who are experts in their fields along with birding and photography workshops. So call, write or contact us on-line and make sure you’re part of it all. The Huron Fringe Birding Festival runs from May 24 to June 2, 2013.